Exact repro on yellow vinyl. 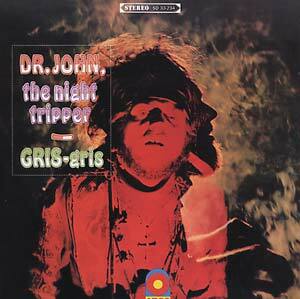 "Dr. John's 1968 release for Atco. One part psychedelia, one part New Orleans R&B and one part something else (voodoo ritual might be the best phrase, but we're not sure that really covers it). 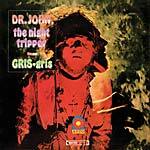 Gris Gris' blend of rasping lead vocals (from Dr. John himself), soulful backup harmonies, haunting melodies on flute, sax, and clarinet and eerie incantations create a vibe that's awfully hard to shake. It's not scary -- in fact, it's rather celebratory in that special New Orleans way -- but for full effect, you might want to turn off the lights."